This is a round-up of the week’s new albums, expanded reissues and/or box sets, appearing each Monday on Slicing Up Eyeballs. All releases due out this Friday unless noted. This week sees the release of new studio albums from The Specials, The Beat Featuring Ranking Roger and The Stone Roses’ Ian Brown. Ian Brown, the once-again-former lead singer of The Stone Roses, will release his first new solo album in a decade next year, a 10-song collection called Ripples that is preceded by the release of lead-off single, and lead-off track, “First World Problems” — which you can hear right here. 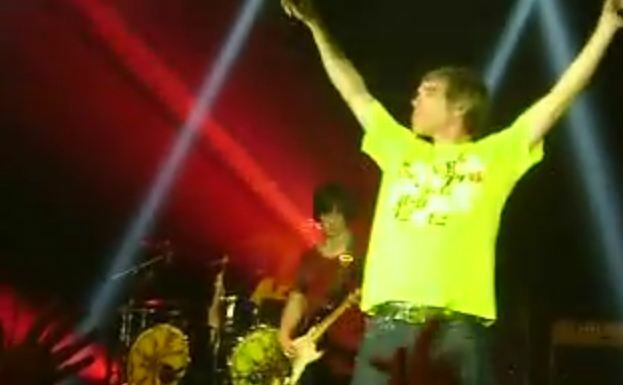 Fans who saw tonight’s Stone Roses gig in Glasgow are reporting that frontman Ian Brown seemingly announced the end of the band, telling the crowd, “Don’t be sad it’s over. Be happy that it happened” — suggesting the Manchester legends’ reunion has run its course after five years. 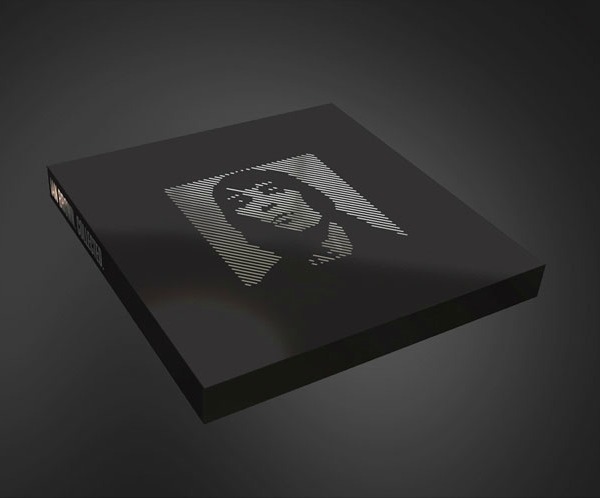 The Stone Roses’ Ian Brown is chronicling his solo career with a limited-edition, 13-disc box set that will include all eight of his albums on CD, plus additional CDs of B-sides and remixes, plus a DVD loaded with all of his music videos and a 12-inch record featuring eight previously unreleased remixes. 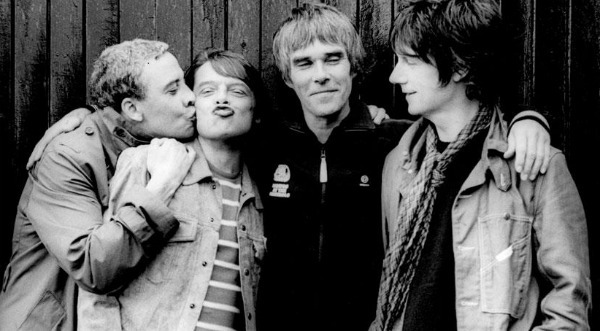 The Stone Roses eyeing U.S. dates in 2013? 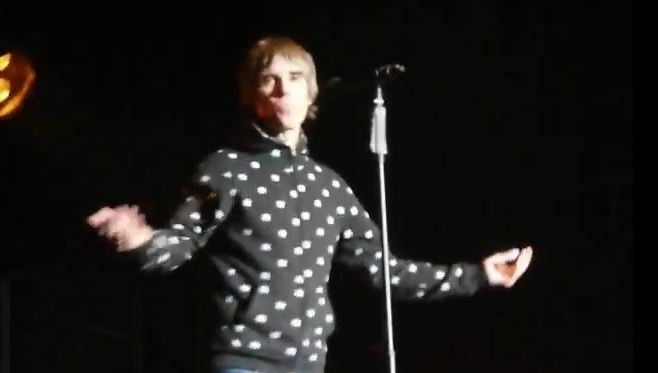 The Stone Roses — Ian Brown, John Squire, Gary “Mani” Mounfield and Alan “Reni” Wren — opened their first tour since 1996 with a pair of full-length concerts Friday and Saturday night at Club Razzmatazz in Barcelona, Spain. Check out the setlists from each night, plus video highlights of both concerts. 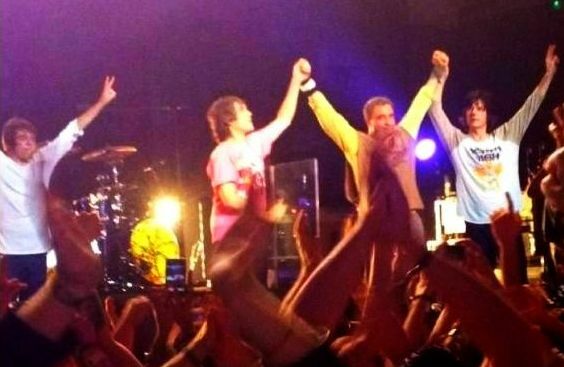 The Stone Roses — Ian Brown, John Squire, Gary ‘Mani’ Mounfield and Alan ‘Reni’ Wren — played their first concert in 16 years Wednesday, a free, 11-song warm-up show for fans crammed into the 1,100-capacity Parr Hall in Warrington, England. The surprise concert was announced earlier the same day. Having already preempted their massive Manchester homecoming gigs with festival dates in Scandinavia and Germany, The Stone Roses have once again bumped up the start of their hugely anticipated summer reunion tour with a trio of just-announced smaller-venue concerts in Barcelona and Amsterdam in early June. The reunited Stone Roses continue to roll out summer festival dates, confirming over the weekend that they’ll headline the U.K.’s V Festival in August. So far, the band is playing 11 festivals in Europe and the Far East, plus standalone gigs in Manchester and Dublin. 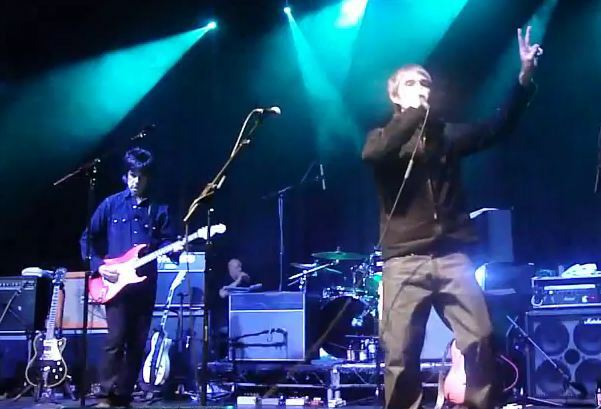 The Stone Roses’ reunion is still six months out, but frontman Ian Brown and guitarist John Squire gave fans a preview last night when they performed on stage together for the first time in 16 years at the Manchester stop of the “Justice Tonight” tour headlined by The Clash’s Mick Jones — who is performing his old band’s songs.